You know, I’ve done a few posts on it, but I haven’t even talked about what I thought about Heart of Thorns. So, here’s are my thoughts in a nutshell. So the Heart of Maguuma looks to be an interesting area. There will be 3 biomes aka 3 layers of area: Underground, base level and high points. I feel that each layer will be as big as Kryta. So 5-6 zones. I think that would be the ideal setup. The Story is picking up where it left off in Living Story 2. Rytlock is definitely the main NPC for the storyline. However, we don’t know much about it so we’ll have to see later down the line. This system is going to be how players progress past level 80. Max gear and level are the same as they are now. I like the mastery system because I honestly prefer horizontal progression over vertical. The mastery system also gives new combat abilities as well as abilities to use outside of combat like Hang Gliding. Sadly some if these “outside of combat” abilities can’t be used outside the jungle (where the expansion is concerned) otherwise it would break the game. Also, precursors. We don’t know how it works just yet, but you can build collections via the mastery system to get a precursor. Depending on how hard it is, how many precursors we can get and if they’re tradeable or not, precursors via the mastery system could mean a lot on how legendaries are made. At first, I thought tradable precursors from the Mastery system would break the Trading Post but after thinking about it, if it’s relatively long to get one, then it wouldn’t be so bad. Specialization are another form of progression for characters. Characters get access to a new weapon (at least one for now) and each class can possibly gain a “secondary profession”. Rangers can gain a Druid Form specialization where the mechanics for Druid changes from a Ranger. We can also swap specialization in and out so I’m wondering the number of specializations one can have. There are possibly more types of specializations so I can’t wait so see them. I really want to try out the Revenant. Players are saying it’s a Dervish-Ritualist type of class from GW1. Which makes sense seeing that the Revenant can channel the power of the Mists as well as past legends. I also wonder if the Revenant’s Elite skills are these past legendaries which would make the most sense. This kind of limits the number of elite skills and legends on can turn into but makes it a little easier to add more elites down the road. So this new borderland’s coming in the expansion has keeps that have special abilities when the shrines are in control of a server. Also the core of WvW is changing to reward holding objectives. If holding forts and the like are worth it, then prepared to see more fights. What I’d like to see is havoc groups and even solo roamers being rewarded for small scale activities than just gathering intel. I’m actually looking forward to this mode. It brings back the GW1 memories. 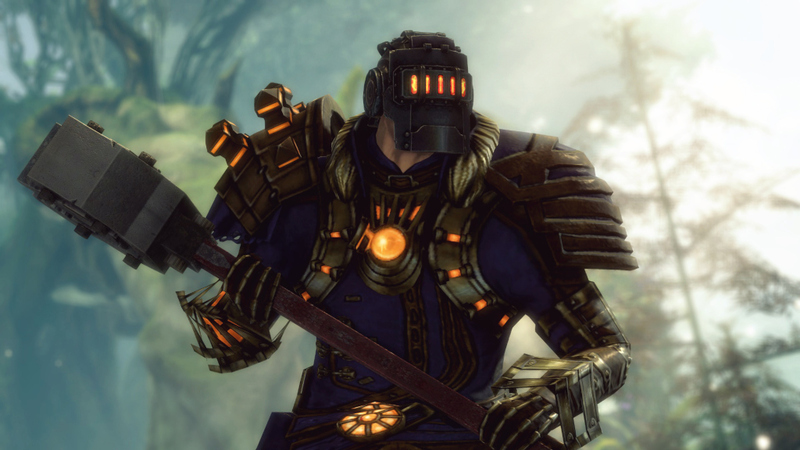 I would like to see how effective mercenaries are as it is a new mechanics for any GW2 PvP map. I’d also like to see larger team (8 would be ideal) but it’s not too likely to happen. Very excited for this. I expect GW1-like features for guild halls with a bit more. I’d like to see some good customization thought such as the ability to buy tapestries and so on. Also I hope that guild halls somehow connects to challenging guild content. And those are my thought for now on the major features coming with the Heart of Thorns expansion. I also hope there will be new dungeons and the “challenging content” is actually challenging. Posted on January 31, 2015, in Games, Guild Wars 2 and tagged expansion, Guild Wars 2, GW2, heart of thorns, living story. Bookmark the permalink. Leave a comment.